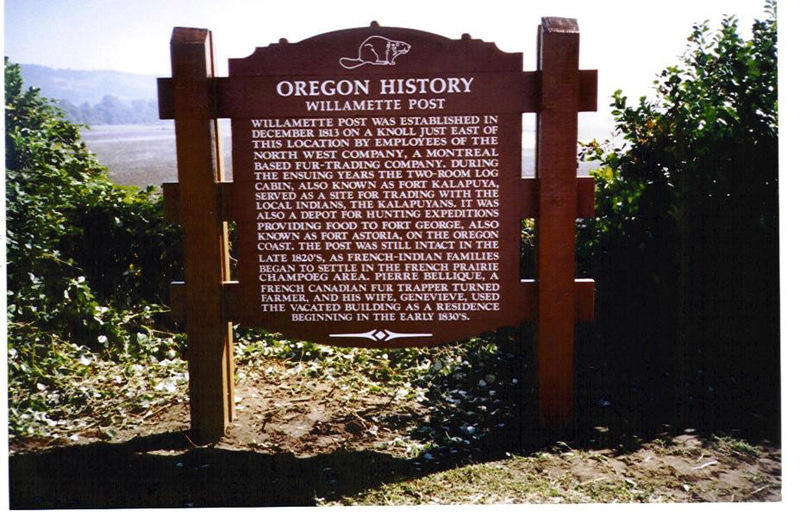 The first trading post in the Willamette Valley was located on the Prairie Knoll just east of this point. The post was established in 1811 by the Astor Company to trade for furs and to take game which was cured and sent by canoe to Fort Astoria at the mouth of the Columbia. Subsequently operated by the North West Company for about ten years, it was influential in bringing settlers to the French Prairie-Champoeg Area-the site of the organization of the first government by Americans on the Pacific Coast. 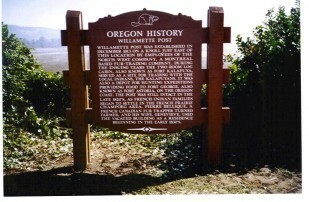 The buildings of Willamette Post were carried away in the flood of 1861.